The law will become effective the next day after it is published. 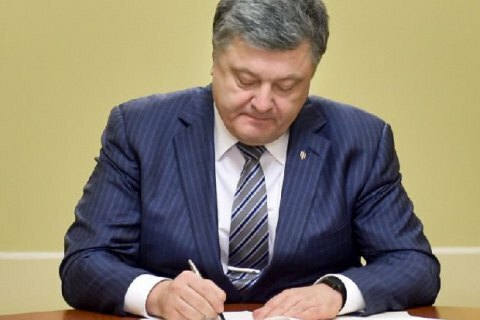 President Petro Poroshenko has signed the law “On amendments to the Criminal Code of Ukraine with regard to regulations on the enforcement of punishment and pre-trial detention term”, his press service has said. Under the law, pre-trial detention is included by court into the detention term, when a person is convicted to a prison term, day for day or in line with the rules set forth by Article 72 Part 1. Parliament passed the bill, known as the “Savchenko law”, on 18 May. Under the law associated with MP Nadiya Savchenko, one day in pre-trial detention was recorded as two days in prison. The legislation amending the “Savchenko law” will become effective the next day after it is published. Around 10,200 convicts were released under the “Savchenko law”.